(Spanish/English side by side) Let’s play a game. You cannot play if you are South American and were born before, say, 1940. There’s only one rule: for every photo in this book that you haven’t seen before you “earn” 10 cents. When you’re done with the book, and you were honest, you will have made more money than the book costs! What does this mean? That you are getting a deal; the book is not cheap but it is worth every penny and then some! There is no greater compliment to pay a book than to say it covers new ground. Unless you are South American and lived at the time of the Fuerza Libre—the Free, as in unrestricted, Formula, the formula without a formula—, 1919 to 1942, pretty much everything in this book will be new to most. It was published in Argentina, written by an Argentine, and covers events that took place in a corner of the globe little known, certainly at that time. In other words, the rest of the world should break out in song that someone has gone to the trouble to record all this, for the greater good of all—and in English! Norteamericanos in particular should drop what they are doing and rush to grab one of the only 1500 copies (individually numbered and signed by the author) while they can because this book adds new information to the histories of important American—and, of course, other—cars. Racing’s ultimate raison d’etre is ever-progressing innovation, obsolescence its inevitable byproduct. 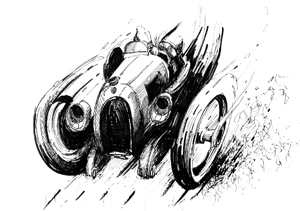 Even the most sophisticated racecars of the day—all the names you know and love: Bugatti, Duesenberg, Packard, Bentley, Alfa, Mercedes etc.—would come to the end of the line and be mustered out. Enter Argentina, rich in the interwar years from agriculture and commerce. Cars that couldn’t race any longer elsewhere would come here for one last fling testing their mettle in city-to-city and circuit racing against local product, “specials” that themselves were cobbled together from America and Europe’s great names. Not exactly pure sang, but improvisation and adventure. Olé. Thanks to a loan from the new Lory Barra Foundation, among whose many aims are the preservation of native automobile history and racecars and to teach restoration, the author, a vintage-racing enthusiast, was able to devote several years to the making of this book. Much of the history recorded here has never been available in this organized a form even in Argentina. Most especially the treasure trove of period photos is largely new to the record! It probably should be explained here that the author had a great deal to say. But, a certain page range and price point had to be met, so, rather than saying less the decision was made to set the type quite small and to save space wherever possible. Visually this is a very “dense” book. Every available inch is used; even the margins are full of car specs or other information pertaining to the main text. While there are some small photos most are large, some full-page if not larger. Cost-cutting also is behind the seemingly random placement of the one color signature in an otherwise b/w book. 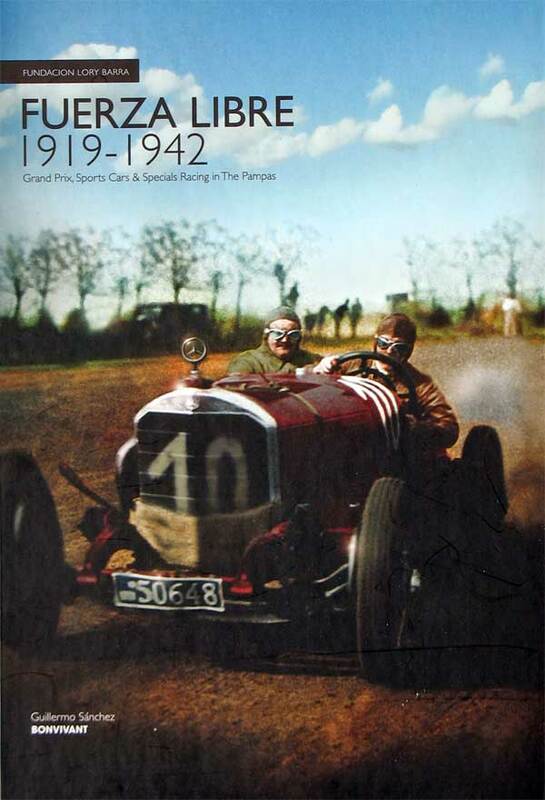 It falls between the letters “P” (Packard) and “R” (Reo) and contains an annotated map of Argentina showing all 71 race venues and several pages of Bugatti detail photos and Mercedes SSK drawings (by the author) along with magazine covers, correspondence, posters, cigarette cards etc. Beginning with an explanation of the rules and the types of racing, several of the key venues are described in terms of specific features and circuit layout. 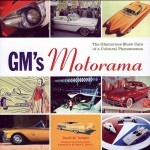 The bulk of the book consists of descriptions of the primary marques in alphabetical order, followed by chapters on aero-engined cars, secondary marques in order of country, and hybrids. Separate chapters then describe Argentine drivers, foreigners racing in Argentina, and Argentine drivers racing abroad. A dozen pages list all race results before closing remarks about the state of postwar racing in Argentina are presented and an index (of people only) and photo credits round out the book. The English translation is a bit rough; the photo captions are exceedingly brief but do identify date, location, car/driver, and the photo source. Again, to squeeze as much as possible into the book the captions are not always on the same page as the photos; small V-shaped arrows indicate what page they go with and there are a very instances of arrows pointing the wrong way. Reading books is what we aim to promote here but collectors should consider that the small print run, quality of the material, and the obscurity of the subject give this book rarity appeal. 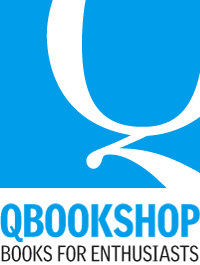 A SPECIAL DEAL for the first 50 US buyers only: mention SpeedReaders.info and receive $40 off! I purchased this book based on Mr. Advani’s review and the special $40 off deal offered. It showed up on my porch a few days later, shipped DHL airmail, arriving in excellent condition. 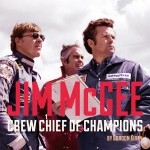 I certainly got my money’s worth; it is a terrific book absolutely packed with photos and information on classic vehicles from the golden age of auto racing, virtually none of which I have seen before (and I have quite a sizable auto history library). The dual Spanish-English text is very comprehensive and detailed, providing useful background on the Fuerza Libre races, the personalities involved, and the impressive race cars used in the contests. While the translation is not always smooth, it is much appreciated, as it allows non-Spanish speakers to appreciate the book in full. (It is something I wish more foreign auto history publishers did, as I have a great many French, German, and Italian books on my shelf that await my attempts to wade through them with Google Translate!) Some of the auto types are well known, such as the Bentley 4.5L, Mercedes SSK, Bugatti T35, and Alfa Romeo 8C 2300, which will appeal to enthusiasts of interwar European race cars. It is quite a treat to see these familiar vehicles racing in such unfamiliar locales. Fans of early American auto racing will also have much to enjoy in this book, as various race cars from the likes of Duesenberg, Ford, Hudson, Packard, Stutz, and others were exported to Argentina, where many were further modified to increase their competitiveness against newer machinery. I especially appreciate coverage of the unusual Argentine specials built for these unlimited contests, such as the Chiozza-Ford/-Mercury twin engine beasts, as well as the Noni P, a LSR vehicle powered by a huge Rolls-Royce Eagle V12 aero engine on a Minerva chassis. The book has a high-quality hardcover with a sewn binding, 8.5″x11″ . The images are predominantly b/w, though there is a small color section with interesting color illustrations of Bugatti T35 and Mercedes SSK racing colors, along with color reproductions of period posters, magazine covers, and cigarette cards. Most of the photos are of excellent quality, such as the breathtaking overhead shot of Carlos Arzani in his Alfa Romeo 8C 35 on p. 45. A minority of the photos are of lesser quality, but this is more than offset by the historical significance and rarity of the subjects depicted. For a preview of the contents and ordering details, visit the publisher’s website at bonvivanteditions.com. Limited to 1500 copies, the book is sure to sell out and increase in value; its current $110 cover price will seem like a bargain down the line. Author Sanchez is to be congratulated for producing what surely will become the bible on early Argentine auto racing, the standard by which future histories will be measured. I hope to see more work from him in the future. Sabu, what an excellent review! What you say about the pics is exactly what I tell everyone. Nearly all of them are completely unseen. Thanks again for your work and encouragement. It means a lot to me — the review sounds so good that I´d like to ask you, where can I buy my copy? Ha, ha! !